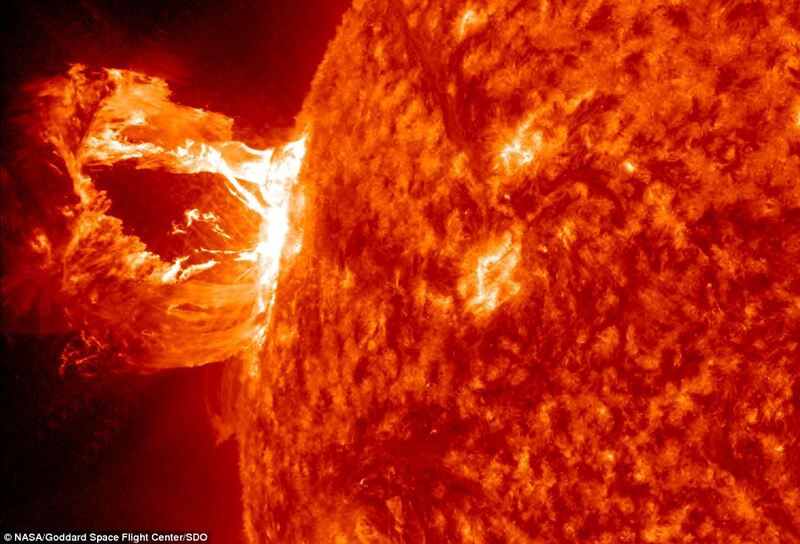 NASA has released another picture and video of the solar activity occurring as we speak. Although this has become a regular occurrence in the news these days, it’s still fascinating as I hope you will agree to see the torrent of activity just a mere 94 million miles away. The reason so much interest has been given to this activity of late is that space exploration seems to have coincided with our sun’s “grand solar maximum” as stated below. The space age has coincided with a period of unusually high solar activity, called a grand solar maximum. Isotopes in ice sheets and tree rings tell us that this grand solar maximum is one of 24 during the last 9,300 years – the high levels of solar magnetic field seen over the space age will reduce in future. This might sound like good news – but the changes in the sun’s magnetic field could leave Earth vulnerable to blasts of galactic cosmic rays. Solar storms could also become more violent. The most probable scenario, according to Luke Barnard of the University of Reading, is that solar activity will decline, leading cosmic rays to increase by a factor of 1.5 and Earth to be battered by eight large solar eruptions every century. For more information, read more on Mail Online.